I spent a couple weeks earlier this fall looking at a few starting pitchers worth monitoring for deeper and dynasty league purposes over the winter and through spring training, and today we’re going to shift gears to the offensive side of the game. As noted previously, the focal point of my player research this time of year is identifying players who may be worth keeping an eye on as we build up to draft day. I like to start each offseason with a longish list of names that may provide value at the back end of a rotation or bench, and then depending on how organizational depth charts shake out over the winter I narrow that list down to my spring training watch list. Earlier in the off-season I wrote about one of my favorite quick and dirty methods for evaluating base-stealing prowess. Today we’ll look at another rough starting point for uncovering unheralded offensive value, and it involves looking at LD% and BABIP for players who suffered poor luck in the form of a batting average well south of what we might expect given the player’s batted ball profile. Line drive rate is among the more helpful correlative elements of batting average, though with a caveat that it does tend to be among the more variable statistics year to year. This past summer batters hit a collective .295 on ball in play. They also hit line drives at a league-wide 22.3% clip, and on those line drives players posted a .688 average. Translation: the more line drives you hit, the more likely you are to produce a strong batting average. Despite the variability, I’ve found it a useful starting point metric in identifying some hitters that suffered bad luck in 2013 and may be due for positive regression going forward. My general rule of thumb for this exercise is to take the top 50 or so hitters by LD% and cross-check them with players who posted sub-.300 BABIP numbers, and this exercise yields a couple particularly notable infield names for dynasty leaguers heading into 2014. Let’s take a closer look at a couple of them and see what we may be able to expect in 2014. Nolan Arenado, 3B COL (23.8% LD rate, .296 BABIP). It was a strange sort of rookie campaign for Arenado, a top prospect in the Colorado organization known throughout his minor league career for a top-shelf offensive profile despite a questionable hot corner glove. But a funny thing happened last season in his inaugural big league season, as a flipped the script and won himself a Gold Glove despite a rather abysmal offensive effort that saw him post a 79 wRC+ in over 500 plate appearances. His .267/.301/.405 line with just 10 homers and 101 R+RBI checked in 24th among third basemen on ESPN’s Player Rater – that’s two slots below Michael Young, for those of you scoring at home. The performance relegated him to the fringes of most redraft leagues and burned valuable bench space on many a dynasty league roster. But aside from having youth on his side there was also some cause for optimism in Arenado’s batted ball profile, as his 23.8% LD rate ranked 29th in baseball. That rate coupled with a groundball rate north of 42% suggests his barely-league-average BABIP was unlucky, and there’s some substantial room for growth on the batting average front – not surprising given his .299 career average across 1,850 PA’s and five levels of the minor leagues. Now, the LD and GB rates represent spikes from his minor league profile, and the latter is particularly troubling from a power production standpoint, since groundball homeruns are exceedingly rare. He saw a corresponding drop in his FB rate at the big league level, suggesting that homerun power may be slow to develop as he matures. Given he’ll be just 23 in 2014, I would recommend tempering expectations for a power surge in year 2, even despite the Coors Field effect. Still, there’s some significant upside here for Arenado to jump into the middle tiers of third basemen next season as a high average, 15-20 homerun hitter. 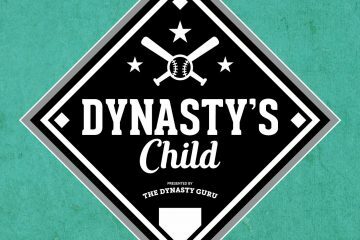 Given his long slog of a struggle last season he makes for an appealing “buy-low” candidate from the right kind of impatient dynasty league owner. Alcides Escobar, SS KCR (23.0% LD, .264 BABIP). On the surface, Escobar may appear to be the undisputed champion of the baseball world right now when it comes to bad luck. Despite an identical line drive rate to the one he posted in his breakout campaign the season prior, Escobar saw an eighty point drop in his BABIP from .344 to a borderline-absurd .264 this past season. With it he lost 72 points of OBP and had about 50 less stolen base opportunities (situations where he reached 1st or 2nd base with a base free in front of him). For a player whose fantasy value is tied so heavily to his legs as Escobar, that’s a huge deal. It wasn’t all bad luck, however, as he posted a quite significant jump in flyballs at the expense of groundballs. For a player with a mid-single digit homerun ceiling that, too, is a huge deal. Heading into 2013 Escobar appeared to have figured out the danger of the flyball, as he had succeeded in dramatically and steadily reducing his flyball rate for three straight seasons from 2010-2012. Given those previous trendlines and the fact that Escobar will be just 27 this season (meaning he’s not due for any age-related speed degradation just yet) he represents a really intriguing gamble as a bounce-back candidate for 2014. As with Arenado if he’s owned in your dynasty league he makes for a solid buy-low trade candidate this off-season, and if available on draft day he should be a nice value pick as a potential 35-steal middle infielder if he can get his OBP back above .300. Hi, where do you get your numbers from? Who posts BABIP and LD% figures? Hey Daff, I recommend Fangraphs for all of this info. All of their player pages include sections for batted ball data, and you can further parse out samples for this information on the “splits” tab if you want to know, for example, how Player X’s LD% differed against right- or left-handed pitching. Minorleaguecentral.com is also extremely helpful if you’re interested in a player’s minor league batted ball profile.